OUR REGULAR BUS SERVICE IS EXACTLY ON TIME! You won’t find another service as reliable. 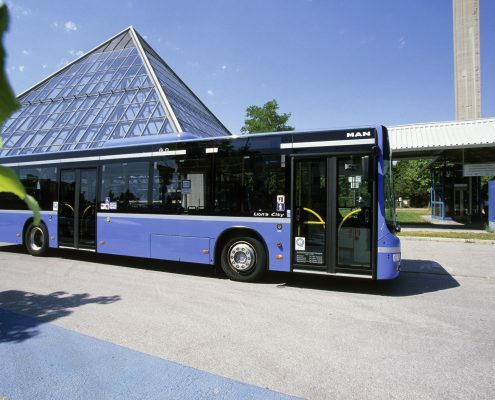 Our regular bus service fleet consists of a range of modern and environmentally compatible models. We will gladly help you with selecting the right vehicles and setting up schedules and route networks. We provide Audi employees with a shuttle service that takes them from various locations to their workplace. Click here to find further information on where and when the buses depart. For the visitors of the Gillamoos we are offering again the proven Shuttle-Service. From Thursday the GillamoosExpress can be used for 6€ per Person per day. The timetable can be found here. 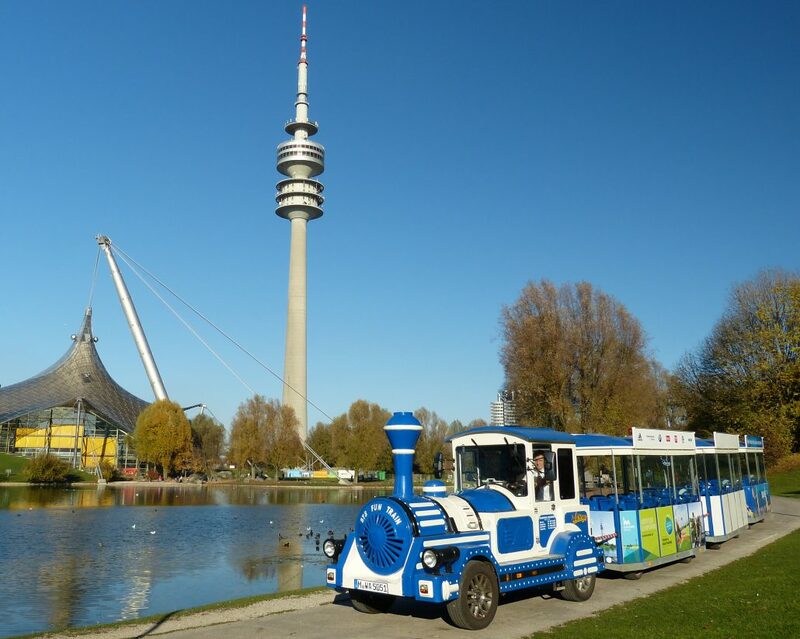 Our choo-choo train operates from 10 am to 6 pm every day (April to November), making its way through the Munich Olympiapark and is not only a thrill for the little ones! Get on the train and pay a visit to Sealife or BMW Welt. It’s worth it! Click here to see the train route. Our drivers are professionally trained and are always up-to-date when it comes to handling our vehicles. 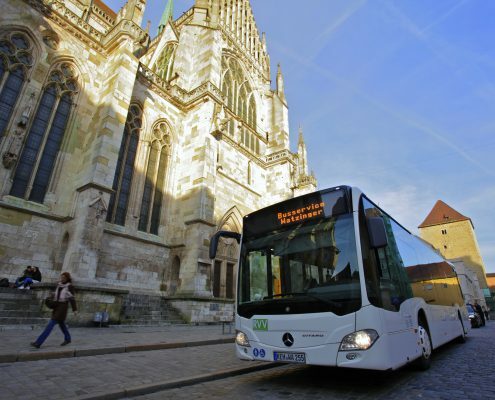 Trips with us are so safe that we were the first Munich bus operator to be accordingly TÜV-certified. In our state-of-the-art workshops we make sure that all of our vehicles function fully reliably at all times. our buses are used in public transportation each year. We can meet your requirements when it comes to public transportation. are on the road for you. 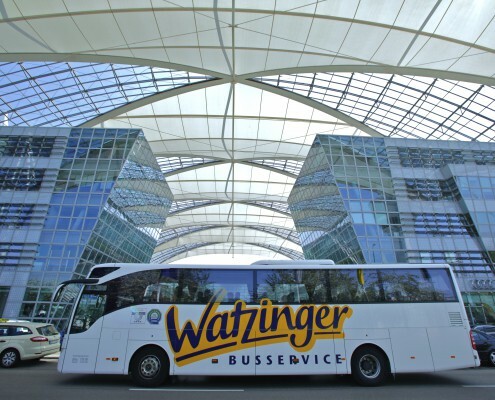 Whether it comes to standard public buses, intercity buses or articulated buses – we have them all. We are particularly proud of our public transport services. After all, we have already convinced top-class partners to take advantage of our services, enabling us to provide mobility, e.g. in Munich, Kelheim and Regensburg. 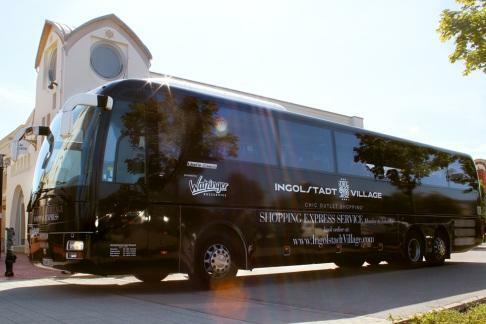 Our public transport bus fleet consists of more than 210 buses, set up for all eventualities. They include state-of-the-art equipment, which is consistently updated as well as all technological features. We also pay attention to our buses’ environmental compatibility and to purchasing vehicles that are as “green” as possible. 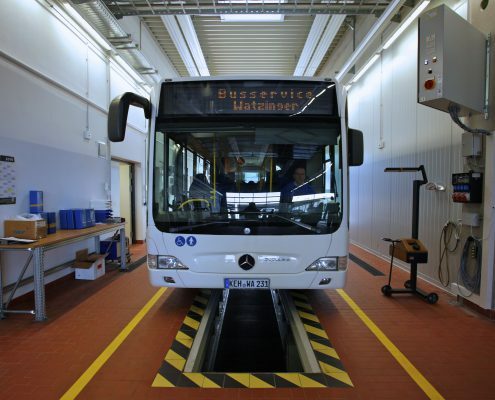 Of course, our buses also feature full barrier-free accessibility and air conditioning. As we also care about your safety on the road, we also make sure that our vehicles are always up-to-date and that our bus drivers are trained regularly. That is why we have the relevant TÜV certifications, confirming our full safety. 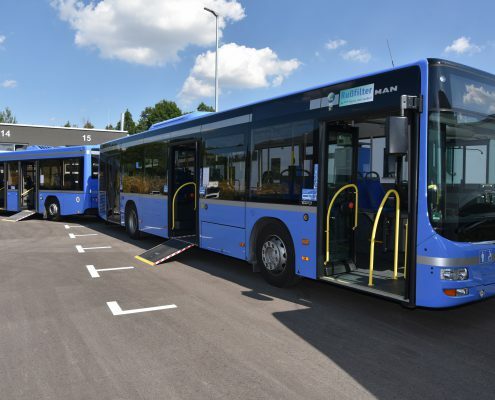 We had the privilege of being the first Munich bus operator to receive this certification and, as you may have noticed, we are quite proud of that. Our specialist personnel cleans the buses every night, to make sure they are in a spotless condition when they pick up fresh passengers the next morning. Our own vehicle washing facilities ensure that our vehicles’ exteriors are also at their best. We look forward to your enquiry if you are considering our public transport services. We will make our best effort to help you as quickly as possible and answer any questions you may have.